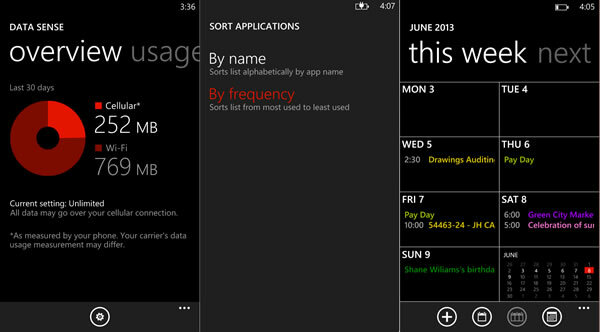 An early build of Windows Phone 8 found in a Lumia 920 purchased via eBay show some new changes to the UI with Notification center, and more. A user posted these screenshots to Reddit, the alleged screenshots were from the build of Windows Phone 8.x loaded on the device, with the version number 12084.WPMAIN(wpbldlab).20130509-1407. The build number indicates that it was compiled as early as May 9th. 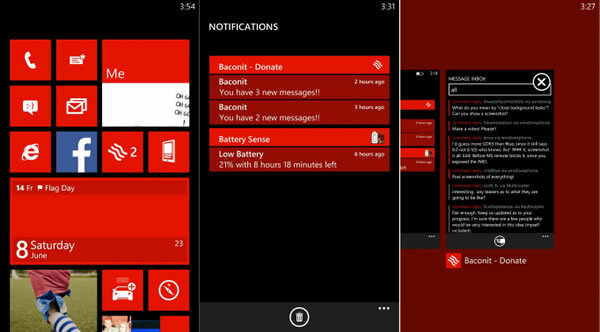 The screenshots leaked show some new features to the mobile OS including a Notification center, Microsoft previously admitted that they ran out of time for WP8, so some features couldn’t make it to the final build. The notification center seems to be accessible from a live tile. But this may change in time and will be integrated better to the OS itself or can be completely removed. According to WPCentral these screenshots are indeed from an early build of Windows Phone 8.x and may or may not make it to the final version that is the upcoming Windows Phone 8 Blue. The list of other features include Ability to close app from the multitasking window, sort apps by frequency of usage, Data sense and a new calendar interface with a week view.